When it is your favorite holiday you have to have two song lists-candy corn for everyone! BEst costume ever-Love the KEvin Cole! Goldfrapp put on one of the best shows I have ever seen as well as creating some of the my most favorite dance songs. Alison Goldfrapp working alongside Will Gregory will be releasing her fourth album, 'Seventh Tree' via Mute Records on February 26th, 2008. The album follows the bands' 2005 record, 'Supernature' a glamourous and glitzy album that showcases Alison's ability to lure you into a world of fantasy and fun. Very excited for this release! My FAVORITE Zombie video ever, as well as one of my favorite music videos...and songs...great work Spike Jonze! ZOMBIE VIDEOS! My fave. HAPPY HALLOWEEN! Bush lovers- turn your heads away... According to NME George Bush's ever so intelligent Press Secretary was quoted as saying, "I don't even know what that is...Is that a band?" when questioned what he thought of Radioheads' new album 'In Rainbows' and their release route during a Washington Times interview. Ahhh-have to love it. Happy Birthday Dear dear Pianos...Happy Birthday to you...If you are out and about tonight you should stop by and celebrate at one of my favorite music venues the city has to offer. Yes yes, it is incredibly tiny and incredibly loud- but that is what makes it good! Think about all the good shows you have seen there...Cold War Kids, Illinois, The Maccabees, The Rosewood Thieves, Clap Your Hands and Say Yeah...you know you have some good memories. Plus it is an excuse to check out Bear Hands! They are set to go on around 10:00 PM and are one of the New York City bands to keep an eye on for 2008. Living in New York every night is an excuse to cause some kind of raucous so you might as well have some holiday music to accompany your activities before you head out to the NY Magazine party with Dan Deacon or truck on down to Pianos to catch Bear Hands. Lucky for us, the folks over at Scarstuff have broken it down for you---Halloweeny style. They cleverly offer up several separated mixes into almost every kind of spooky genre you could wish for. I myself was excited to check out all the old vinyl covers- especially the ones with ZOMBIES! Heck yeah! During my first listen of the foursome better known as The Poison Control center I was reminded of the film Thumbsucker. It was one of my favorite films a few years ago and all of the songs were The Polyphonic Spree covers of Elliot Smith in sweet sing along fashion. Don't let your first listen of The Poison Control Center trick you like it did me-this band from Iowa can rock-in a fashion that definitely should not be compared to the robed indie sensation (which creeps me out a bit, not going to lie). Patrick Fleming and Devin Frank collectively stage fits of flailing limbs and upside down guitar squeals during their live performances and often invite the audience to join in on the adventure. The Poison Control Center is a band that SHOULD have been a buzz during this years' CMJ festivities but was sadly overlooked by many. Although they have officially been a band touring and creating music for six years now they are still a band that lives life relatively under the radar. Their debut album, "A Collage of Impressions" was mastered by Doug Van Sloun (Bright Eyes-Rilo Kiley) and hit stores this fall on Afternoon Records. All four members of the band sing on every track, harmonizing into a colorful blend of pop and rock melody that takes on a whole new meaning during their acrobatic live set. Step up folks. I only help sell ONE thing on this lil blog of mine besides the artists i love and admire and that is my most beloved KEXP. I do not have enough wonderful things to say about this non-profit radio station that is completely listener supported. They listen to their audience and the artist they play and represent the best of what is left of the radio world. There is nothing else like it out there and I sincerely hope you support them! Go donate now kiddies. NOW! Thank you. For a much needed vacation of sorts. But while i am gone the annual fall KEXP pledge drive kicks off. PLease please donate early! If it is one thing these two subjects have in common it is love of music. Have a good weekend! The Mars Volta are a band that just amaze me with their creative and artistic talent. I was a huge fan of At The Drive-In with their on the edge-garage rock ballads. As the story goes, after the loss of a band member to drugs the surviving members formed The Mars Volta and morphed into a theraputic collective that holds nothing back. Their first album pierced my ears and heart with such raw pain that they quickly became one of my favorite bands. Their first album, Deloused in the Comatrorium stands within my top 5 of all time. As Panda Toes reports they are finishing up touches on their latest product, a 'concept' album based on the vision and spirit of Omar giving Cedric a gift. Slated to be released on January 29th, 2008 there is sure to be a lot of talk surrounding the skills of their new drummer, Thomas Pridgen. If I wasn't already completely enamoured with The Maccabees based on their lovely ballads and creative videos before they showed up to Gibson Studios last friday I definitely was falling over with admiration for them by the end of their set for KEXP. Wounded guitarist in tow the boys were falling over themselves with such heartfelt apologies to back up the probability of a bad performance or possibly an acoustic set from Orlando. Felix was nursing a completely infected finger- so much that he was literally in tears during his set. The band insisted on carrying on, ripping through a stellar four minute set without a glitch. Between each song the boys gathered around Felix for pats on the back or arm, lending as much support as was possible in such a situation. I have seen many bands cancel for lesser reasons up to something being wrong on their rider (as in the wrong type of imported organic mango). Here is a band that is out to play and win you over. Even if they don't they have fun along the way and most importantly remain true to their music and each other. I stopped by Pianos to catch their set on Saturday afternoon and to check on Felix. It was like watching a completely different person. Animated and joyful he played his guitar with as much perfection as the afternoon before. One would have been hard pressed to find a difference in his technical performance. It was a celebration to see him enjoy their last CMJ performance. The audience at Pianos seemed to know all of the words and were adoring and appreciative. I am sure The Maccabees receive a lot of love from the female population of their fan base but I am here to say that it goes along way to find a incredibly gracious band in this day and age. Especially one who is willing to play for a public radio station through immense pain. Beyond that their music is solid. Their live show is furious and fun. I wish them all the luck and hope they come back soon. And Felix- take care of your fingers this time out, eh! Last year was my year for discovering moody, beautiful, atmospheric music. I do not know if that is how you should really classify Tunng, for their music encompasses so many different elements. Armed with their own special brand of tingly music the band set out to experiment with the sound of things and how it fit into their musical landscapes they created in their minds. Refusing to perform live the group grew into their lyrics and together as a band. Lucky for us they have gotten over this bit of fear and are currently on tour promoting their latest album, 'Good Arrows.' They have gained respect and recognition within the industry. Tonight they are playing out in Brooklyn at Union Hall, tomorrow they will be at the Mercury Lounge. Before CMJ week i ventured out to Studio B to check out my latest electronic love, Digitalism. First i must express my affection for Studio B. The first time i went was last year to check out Junior Boys. It was one of the worst concert/show experiences of my life. My friends and I couldn't find out way there in any sort of effective manner. We even stopped and asked for directions! By the time we got there we were thoroughly frozen and fed up. To make matters worse, it wasn't the best show. I was disappointed with Junior Boys to say the least and swore I would never return to Studio B, unless the Yeah Yeah Yeahs (*yes- i know they did*) played there or someone of the caliber. I am stubborn like that. It was hard for us Manhattan folk to access and well, the sound needed some work. I am glad to report that I happily eat my words when I say Studio B is pretty darn fancy. I LOVED it for Digitalism. I felt like I was back in Europe. The DJs who were spinning their special mixes before and after were very fine indeed and everyone was dancing. It was a delight for the eyes to see hipsters in their element. I am a sucker for their flashy fashions but beyond that they danced! Digitalism were even better than their album. Chatting with the crowd and playing their hearts out they performed on every level...for an electronic set. The lasers, lights and smoke machines were all working over time. So much so that my friends and I had to change location...we are getting old and the smoke hurts our ancient lungs. I was sad I couldn't make it out for Justice's DJ set late night on Saturday. Maybe if I had it would have saved their performance at Terminal 5 for me, for I was not impressed. To say the least. My friends were- so maybe it was just my being exhausted and not loving the space. I LOVE their album, it is a fantastic record and definitely one of my favorites of the year. It just didn't do anything for me in person. I danced and had a good time, but I enjoyed Digitalism more. Hey, to each their own. 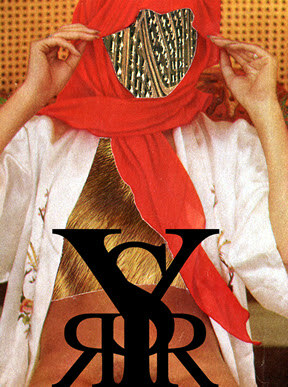 YEASAYER out today! And Mercury Lounge Date Announced! If you hadn't caught on, i kinda like them. Just a little bit. Go pick up their album here, or your respective LOCAL RECORD stores. None of that chainstore stuff...unless you really have no other option. If you are in or around Brooklyn tonight-Williamsburg to be specific stop by their record release party being held at Glasslands. Also, mark down December 15th for their show at the Mercury Lounge with Team Robespierre (gotta love that name!). Tickets go on sale tomorrow. YEASAYER! I must say, they were my favorite act that I caught during CMJ. Second only to The Maccabees. Their live show is so intensely packed with emotion that pours out of their lead singer, Chris Keating without any sign of restraint or remorse. With songs that literally come alive, even in the smallest of spaces (Cake Shop, KEXP in studio, R Bar) Yeasayer impressed many people this past weekend with the songs riddled with tales of omens and strife. Whether or not you can decipher every clever lyric or not, it is highly infectious and overwhelmingly beautiful. Despite being musically exhausted from this past week my ears are still longing for more of their live set. I only wish that they were sticking around their home town a bit longer, but alas they are traveling to Europe where they are sure to garner even more acclaim and admiration. But hey, they are one local band that we should proudly export. Visit the KEXP blog for in studio photos and reviews from last thursday! Alas, CMJ madness is over but New Yorkers have a new scene to concentrate on. HALLOWEEN. With it lurking around the corner people are sure to be brainstorming over what to dress up as and more importantly, what to play at their haunted celebrations. I have been collecting some fun stuff for some time now which I WILL post next week...(hopefully will be back into the swing of things soon). In the meantime all my lovely KEXP friends have returned to their city by the sea and maybe even in preparation for their annual Zombie/Thriller/Dance off?! Does New York have one too?! And by MUST i mean *SHOULD* we are not about being pushy here folks, but these next two mornings/days/nights have some excellent talent packed into their wee hours. Starting off one of my favorite bands out of Pennsylvania, The Shackeltons, they are playing at Pianos tomorrow night at 9:00 PM. Their sets are packed with energy leaking out of every guitar riff and lyrics that shock you with brutal honesty and raw emotion. Check out what Sentimentalist Magazine has to say about them; "With an explosive urgency that thrives on neat, loud-soft-loud bursts of poetry and gritty chaos, singer Mark Redding performs both live and on record as if the words he’s spewing are thrusting out his demons. The drama almost cannot be contained. Think of the fun and hellfire of The Gun Club or Birthday Party, but with the tight finesse of Interpol and Fugazi, and you’ll begin to get the idea." They are on John in The Mornings' record label, Loveless Records-so if both of those bits of information combined to do not convince you- i don't know what will! Next on the list is Black Kids at the Annex tonight at 10:00 PM or tomorrow during BrookylnVegans' showcase at Pianos at 4:45 PM. I cannot say how their show is live, but I am sure Jaime will take notes for those of us who won't be able to make it out! The Epochs-talent like this comes along only once in well...an Epoch! Ohhhh! I am very excited to tell you to check out The Epochs tonight. I was lucky enough to check both of these talented band earlier this week during their visits to KEXP, which you can go back and stream/podcast, review here. Lovely. The Epochs are just an incredible find for me this week. I wish there was more being made about them and Eagle Seagull, for i think both of those bands should have been on everyone's lips this week. I had heard of both of them before but really didn't take the time to check them out and well...they will both be on my list for the end of the year albums to check out, shows to check out...well you get the idea. BRILLIANT! You can check them out tonight at R Bar with Takka Takka (10:30 PM) and benzos (11:45 PM)- and The Epochs are closing out the night-this is gonna be a late one! Next on the list besides Yeasayer (tomorrow-BV Party-Pianos), Islands (tomorrow-BV Party-Pianos), British Seapower (Tonight At Bowery Ballroom) is THE FOALS (they will also be LIVE on KEXP tomorrow at 4:00 PM). Just from listening to everyone talking about them it sounds like they are insane live. Again, you can check them at BrooklynVegan's showcase at Pianos on Saturday along with Tiny Masters of Today, The Maccabees and King Left. I just decided to post this whole bit because A. It is RADIOHEAD and B. well-it is Radiohead... So folks, thank lovely Lars Brandle reporting from Lo-town on behalf of Billboard magazine. Take it away lArS! "Radiohead will embark on a rare international tour starting next spring, Billboard.com can reveal. Although details are still sketchy, expect the British alternative rock band to play multiple markets, in sizeable venues. "We plan to tour next year, starting in May through to probably the end of the year. With lots of holidays in that period," says Bryce Edge of Courtyard Management, the firm that manages the band. "At the moment we are talking with our agents in North America and for the rest of the world, trying to get a schedule which works for the band and works financially," he adds. An extended run will be a treat for dedicated fans who missed Radiohead's summer 2006 dates, which landed in a handful of European and north American markets. "They toured last summer almost for creative reasons, definitely not for financial reasons. And I think they quite enjoyed it," explains Edge. "The next set of touring will be slightly larger-scale venues." Frontman Thom Yorke is anything but a fan of international treks and, in the past, the singer has raised concerns over the effects of touring on climate change. "He likes to do shows, but the whole business of schlepping around the world is not top of his list of favorite things to do," adds Edge. "He really enjoys playing to the fans -- it's just the process of how to do that which is the pain in the neck (for Yorke). They're not road dogs. They never have been." Radiohead tore up the industry manual when they allowed fans to name their price to download its latest album, "In Rainbows," released Oct. 10. To date, representatives for the band have remained tight-lipped on the sales performance of the studio set. Edge downplayed as "exaggerated" reports that "In Rainbows" had shifted more than 1.2 million copies, but admitted the average price paid was "probably pretty close" to £4 ($8). "We haven't analyzed the data yet," he explains. "The servers are still functioning on delivering the records to people. When that calms down a bit, we will have a moment to analyze and drag the data off. " And he was philosophical on reports that the illegal platforms have delivered millions of units. "The fact of the matter is, as soon as a record goes into manufacture, or advance copies are released to the press, it goes onto BitTorrent," he says. "That is the fact. 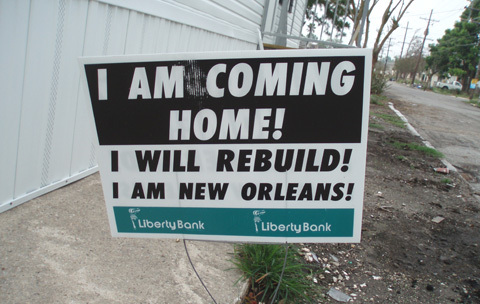 What we are dealing with is a situation that we always dealing with." A label deal has yet to be struck for the physical release of the album, a spokesperson for the band says." 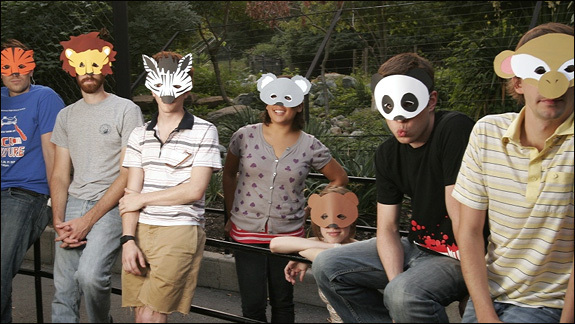 Le Loup will help you brave the 'zoo' that is CMJ! Well, hopefully all of you have been listening to KEXP and checking out their blog (updated almost hourly)! In addition to all of this there will be a KEXP sponsored happy hour at Hi-Fi in the east village from 6-9 with drink specials and the chance to meet your favorite fantastic DJs up close and personal (as well as excellent KEXP listener folk like yourself). Afterwards I highly recommend scooting over to the Mercury Lounge to check out The Rosewood Thieves scheduled to hit the stage at 8:oo Pm SHARP! Don't be late kiddies, you do not want to miss one second of their show. They are only playing a few times during the week so you definitely want to catch them while you can. Le Loup will be performing at The Knitting Factory as well. If dancing is your thing check out MGMT at Crash Mansion. Well well, it is already here! One of the best weeks for music in New York-with a massive influx of local and foreign bands converging all on our tiny little town. YEAH! Very exciting. Everyone should be tuning into the one and only, the magical KEXP while you are recovering from your musical hangovers at your day jobs. Currently The Harlem Shakes are waking us all up with their special blend of stellar pop rock. Check out the KEXP blog for live podcasts, interviews and photos from all the in studio sessions with some of the most exciting bands CMJ has to offer. Highlights from yesterday included the beautiful experimental melodies from local band The Epochs and my favorite seven piece band of crazy kids Le Loup! I must admit, this is one of my favorite song titles of the year and armed with so much blog buzz AND snappy song titles well then i am completely sold, right? According to my co-workers that is how us indie folks get turned onto such things. Well at least these 'kids' are pretty darn good. Darn good! Sure to be one of the shows that has us running around during CMJ and squawking over how good they are. Hopefully...still too early to tell. By now most of you know the Black Kids hail from Jacksonville, are a five piece bit of salty music experiementation, have been compared to numerous other bands that employ shouting as a background sound and well the biggest and most *important* detail- are UNSIGNED! Hear that record labels? So if you are still licking your wounds over Radiohead maybe signing these kids will help your figures heading towards the end of 2007. Time will tell. The past week has been filled with news of Radiohead and their new album. Constantly outspoken and challenging Thom Yorke and company continue to evolve and push the music industry to new levels of extreme discomfort. Offering 'Rainbows' their latest release which was made available today through download through the bands' OWN website for whatever price you wish to pay for it is only just the beginning. It takes fierce belief in your music and your fans to be able to do something like this and well, us fans are incredibly grateful. From what i have heard 'Rainbows' is layers upon layers of shift shaping melodies, eerie loops and classic Thom Yorke sound. Fantastic. You can tune into KEXP who has been debuting tracks all morning. If you still haven't purchased your very own copy of the album you can stop by the Rainbows' website here. No sense in really speculating how his life would have panned out. For me it is more honorable just to remember him and his spirit. Truly creatively brilliant, inspiring and unique there will never be another John Lennon and for that we are all still trying to recover. This might just be the CUTEST advertisement ever. "Do young men still woo young women by tossing small pebbles at the panes of room windows, soft enough to be detected by the sleeper in the identified room, but silent to all those throughout the rest of the home? Do these pebbles peck off of the glass and carom at 45-degree angles, falling to the flooring of a hanging balcony that recalls settings from important scenes in the plays of Shakespeare? Do young men spend their time gathering sweaty palms still, lying awake making nights worrisome with doubt and unrequited love that almost makes them burst like a water balloon? Do they picture themselves climbing up trellises to take their fair maidens into their arms and really just love them truly, not in the sticky, commercialized, lustful way that you see in the big pictures and on the little screens? If the answer to any of the above questions is yes, or I believe so, then The Maccabees could be the rightful chroniclers of these uncorrupted feelings of innocent love"
Need something to do tomorrow night? If you like your music to have a little bit of tambourine a lot of melody then you should check out Seattle's The Cave Singers while they are in town this week with three chances to see them starting tomorrow night at Sound Fix. For those of you who do not travel out to the wilds of Brooklyn you can find your fix on Wednesday at the Mercury Lounge and Thursday will find them quite at home at Southpaw in Park Slope which is a perfect room for them. In the meantime i highly recommend you check out the bands' website/blog. BEautiful photos which definitely display an interesting side of the band. As much fun as us 'New Yorkers' like to poke at the numerous bridges and tunnels surrounding our tiny island of Manhattan they bring us many a lovely thing on a daily basis. Food, friends, family, and when we are lucky enough, some of our favorite artists and musicians. This past weekend local bands Les Savy Fav, Blonde Redhead and LCD Soundsystem were happily looking forward to playing a home town audience while our northern neighbors and headling act, Arcade Fire had to travel the miles to Randalls Island to perform to their largest New York audience yet (estimated at 25,000 according to Win). Being a bit of a snob i only showed up in time for LCD Soundsystem and Arcade Fire. There are not enough words to describe my love for both of these bands, especially the latter. They represent the best of the indie genre and they always deliver a 100% of everything you could ever hope for and expect. As i have said before, Arcade Fire is a band for the times. Brilliant beyond belief both in prose and delivery they simply are on a level all of their own creation leaving the rest of us in awe or trying to catch up. Despite how much time you spend away from their beautiful songs or their live performances within a few minutes of reunion with them and their material you recall exactly why how you fell in love in the first place. Highlights included collaborations with Regine, Will and Win joining James on various LCD tracks. James poking fun at the audience for being a bit lame and not clapping-shocker, but always good to hear a performer call us city folk out on it. Will deciding to scale the side of the stage leaving all of us gasping and worrying until he safely touched the stage again. Apparently they played two encores, i missed the second one. Sadly, Win proclaimed that this would be their last show here for two years to which we all boo'ed and hissed. Hopefully they will change their minds, but even the worthy Arcade Fire need a break every now and again. ~BrooklynVegan has numerous posts and videos to share with you. Like i unfortunately did then the week of CMJ is your week. Infectiously catch but sharp and full of wit at the same time, they are one of my most favorite discoveries of 2007. According to my friends who all caught The Maccabees at the Knitting Factory they also put on quite the live performance with tightly delivered songs and comfortable stage presence. They will be live on KEXP Friday, October 19th at 12:00 PM as well as at Bowery Ballroom with The Sons and Daughters and The Spinto Band. Tickets are still available. Saturday, October 20th they will be at Pianos during a free showcase that begins at 12:00 PM and runs until 7:00 PM and thus far includes Tiny Masters of Today. Check back for exact time sets the week of. This is one *Import* band you do not want to miss. Trust me! So behind- so please just go and turn on KEXP right away. They have been broadcasting out of the windy city since yesterday and have been crammed full of some incredible in studio performances. Yesterday saw Beirut who debuted some magical new songs off of their upcoming release 'The Flying Cup Club.' You can download the session in its entirety via the ever so clever KEXP BLOG! Right now i am highly enjoying Imperial Teen and Jaime was enjoying the 1900's earlier so much so that he is a complete convert to their sound. This is what AMAZING radio is made of and let me tell ya folks, not many stations do what KEXP does on a daily basis. Even if you aren't a regular you should tune in these next few days. I myself am highly excited for Jose González and THE TWILIGHT SAD both of which willl be on the air later today! I myself reported on behalf of the lovely station and wrote about The Twilight Sad, The Big Sleep, Die Romantik, Most Serene Republic and A Place to Bury Strangers if you want to check that out here, you may. Thank you thank you KEXP. Wildlight/Les Savy Fav/Blonde Redhead/LDC Soundsystem/Arcade Fire-SET TIMES! Set times, set times, set times! I still can't believe this date is already here-time is just a flyin.' If you haven't gotten a ticket yet most of my people have extras and will be selling theirs outside the gates or you can go the old fashion route via Ticketmonster. As of right now the weather looks good, fingers crossed! Like it would dare to rain on the masterful Win Butler. 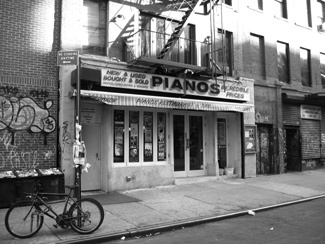 Rosewood Thieves Movie Clip and date at Pianos! Rosewood Thieves invite you to view "A new film we made for "Honey, Stay Awhile" for our new EP "Lonesome" which will be out mid October. Thanks to Matt Cioni, Justin Jay, Shea Tom and Brandon Owens for their help." Don't forget their upcoming show at Pianos, this Friday as part of Concerts for Peace! After all the horrible reviews of Animal Collective's first show scheduled this week at Webster Hall, last nights show was either going to be awful or amazing. Fortunately, for those that went to night two, their performance was without a flaw. All the key elements were in place: the sound was good; band was on; and the crowd seemed to be in a trance that no one wanted to end. As we all know, the music of Animal Collective falls into the either *love it or hate it* category. The first time I saw these guys I thought it was a complete snooze fest and a lot of that had to do with the fact that I just was not familiar with their catalog. But now that I can safely say I am familiar with their material and appreciate the style of music these guys create, I can safely say that they straight up killed it last night. Their show saw no song getting cut off in the middle and the band obliged the stomping audience requests for an encore. The crowds highest reactions definitely came from the material off of their latest release "Strawberry Jam" and the show's highlight to me was 'Fireworks.' There is something about the songs musical journey that their particular sound creates complimented by Avey's voice. Other set highlights included 'Peacebone,' 'We Tigers' and 'Chores.' There was something about last nights show which just seemed captivating. Maybe its the mixture of calmness and choas that this band blends so well which makes them so good. Or maybe its the fact that their really is no other band out there doing what they are doing which makes them so fresh. Anyhow, l can ramble on and on about this show but it was just that good to those that appreciate the music Animal Collective make. *NPR recently recorded some snaps from their performance at the 9:30 Club in Washington, DC- visit our favorite: GorillavsBear who has the downloads available for your listening/sampling pleasure.